This is two games in a row. At this rate, nothing will get done. 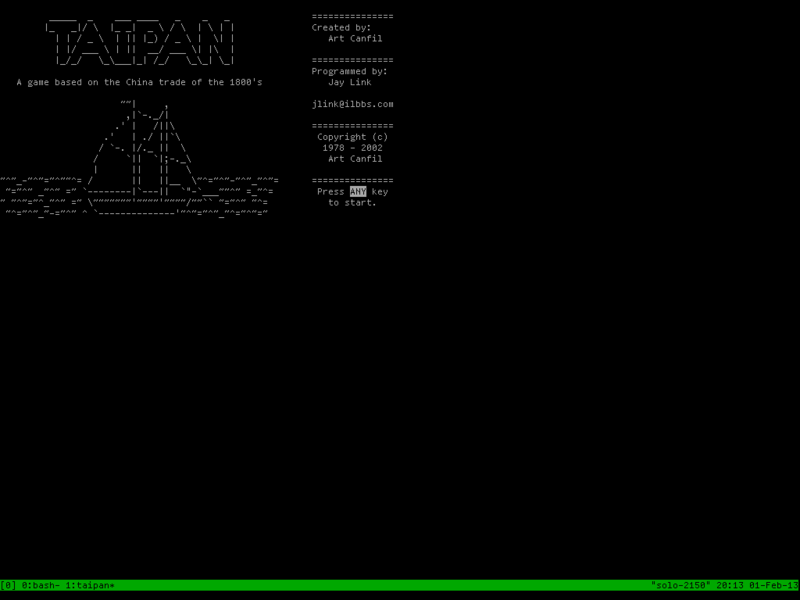 taipan is a remake of the classic Apple II text-based trading game Taipan!. I will confess that I don’t remember playing Taipan! on the Apple II (or C-64, for that matter … I was a chickenhead), so I can’t vouch for its faithfulness to the original. And of course, elements of this are found in such classics as Elite, Space Trader and a long list of other games. 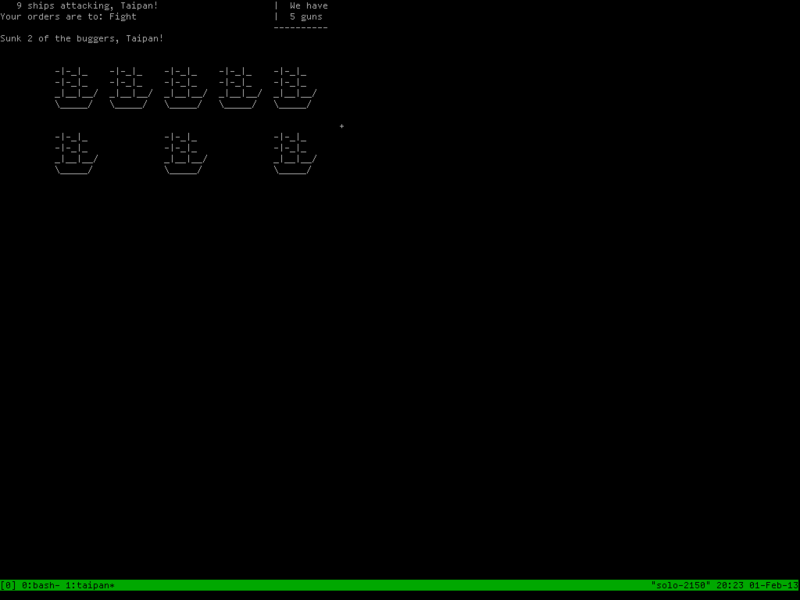 This entry was posted in Linux and tagged game on 2013/03/13 by K.Mandla.